As the Republican primary election rolls on with three candidates remaining in the race, speculation abounds about the possibility of a brokered convention in July. At present, there is no question that Gov. John Kasich will not earn enough delegates in the primaries to secure the nomination — even if he won every single remaining delegate, he still wouldn't have half. A more difficult question to answer: Is a brokered convention less likely if Kasich drops out? A brokered convention in Cleveland would occur if none of the candidates secure 1,237 delegates in the primary elections — that number represents one more than half of the total delegates at stake on the GOP side. If no candidate gets the majority, then many of the delegates will become unbound from the results of their states' primary or caucus, and they would be able to vote for whomever they want at the convention. We will go into Cleveland with momentum and then the delegates are going to consider two things: Number one, who can win in the fall -- and I'm the only one that can, that's what the polls indicate. And number two, a really crazy consideration, like who could actually be president of the United States. That said, Kasich wouldn't be the first GOP runner in 2016 to say he would not drop out, only to then quickly do so after a big loss. He could easily pull a Ben Carson or a Marco Rubio after a disappointment on Western Tuesday, particularly if Trump wins big, putting a dent in the governor's hopes that Trump won't get the coveted 1,237. So let's consider how having him out of the race would affect the odds of a brokered convention. At first glance, it seems like one fewer candidate would prevent a brokered convention; with only two candidates in the race, one is more likely to get a majority of delegates. But the situation is a lot trickier than that. One relevant question to ask is where Kasich's supporters would go if he dropped out — not that he seems to have many. But on Monday, Sen. Ted Cruz told Fox News: "If John Kasich were not in the race, we would get to 1,237." Numbers-wise, it's possible for Cruz to catch up to Trump; according to the Associated Press, Trump has 681 delegates and Cruz has 425. (Cruz would need a big majority of the 1,042 delegates remaining.) Would Kasich's supporters necessarily flock to Cruz as the only Republican alternative to Trump? There is no clear indication of that. The only second-choice candidate poll out there is from February, and among Kasich supporters, only 10 percent said that Cruz was their second choice, 67 percent named a candidate who has since dropped out, and 12 percent didn't know. Aside from that, just how much sway the "stop Trump by any means" line would have on voters who have staunchly stood by their underdog candidate this long is questionable. They may well just stay home or defect from the party if Kasich exits the race. Then there's the questions of where the delegates Kasich has earned would go. The Associated Press reported that he has 143, a relatively small number. But if they were free to choose for themselves at the convention, they could very well opt away from Trump, who doesn't represent the GOP establishment. 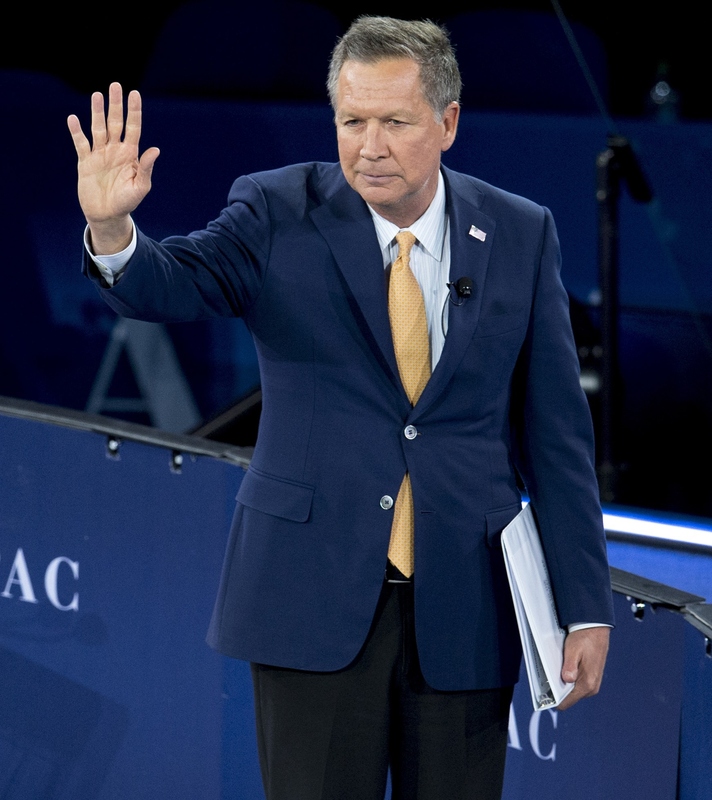 But many of them probably won't become unbound if Kasich drops out, as the allocation of delegates from ex-candidates is left up to state rules, which vary greatly. For example, according to CBS News, only 30 of Rubio's 164 delegates will be unbound for the first round of voting at the convention; the rest will either have to vote for him in the first round or will be reallocated by states. However, keeping in mind that as many as 166 delegates could be unbound from states with wonky primary rules at the convention, in addition to Rubio's 30 and any that might come from Kasich, the unbound pool could add up to be just enough to tip the vote if Cruz fails to overtake Trump for a majority but manages to barely keep Trump from the magic 1,237 number. To sum up the various uncertainties: Kasich removing himself from the race would make a brokered convention less likely if 1) Cruz performs better because of it to reach 1,237 delegates, 2) the way in which his delegates are reallocated benefits one candidate or the other, or 3) the race between Cruz and Trump was super tight up to July, and then unbound delegates from Kasich could help tip the nomination one way or the other during the first round of voting. That amount of "ifs" makes a prediction awfully difficult.